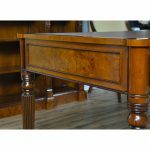 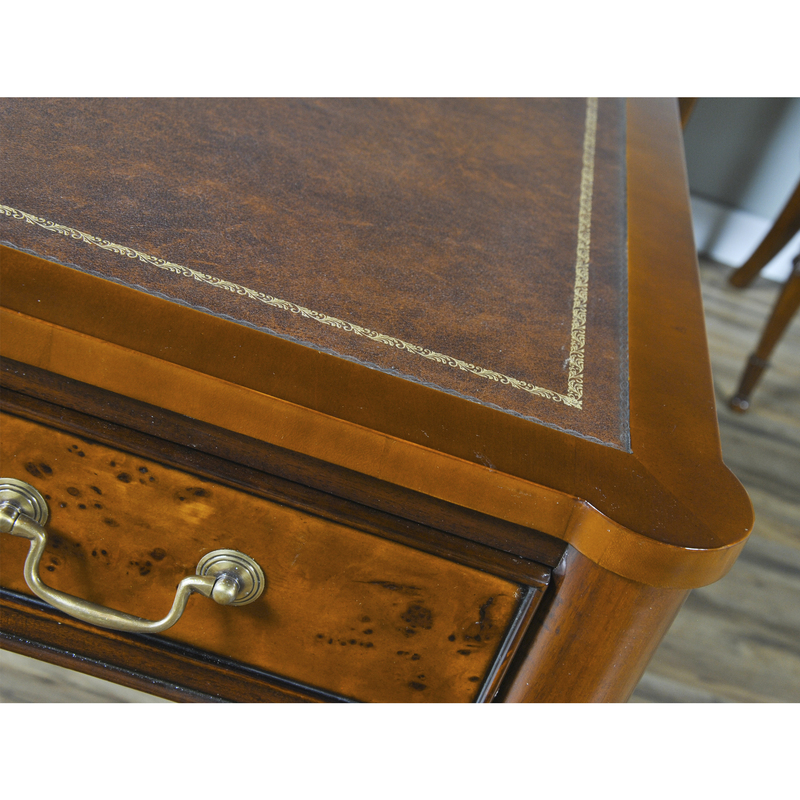 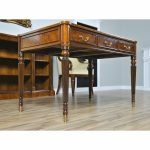 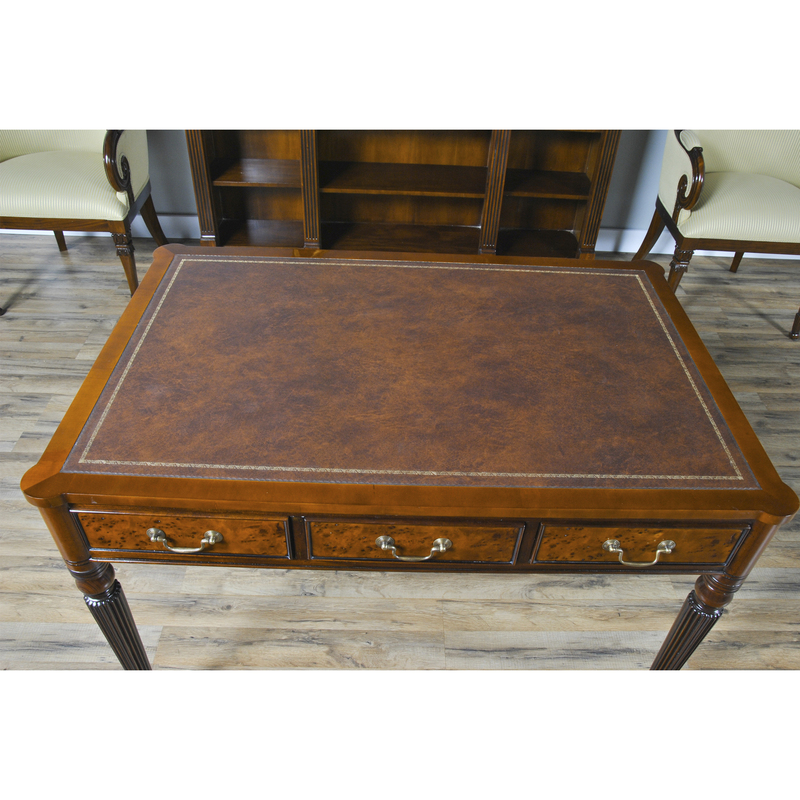 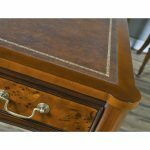 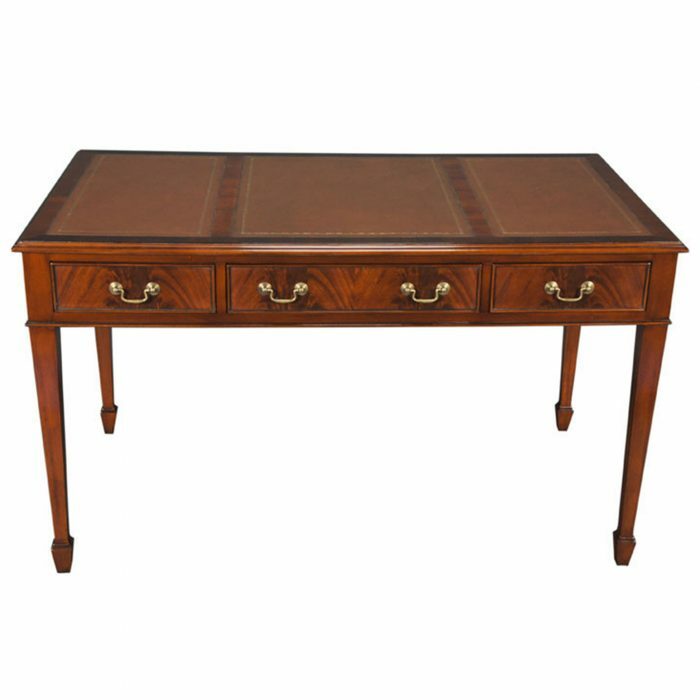 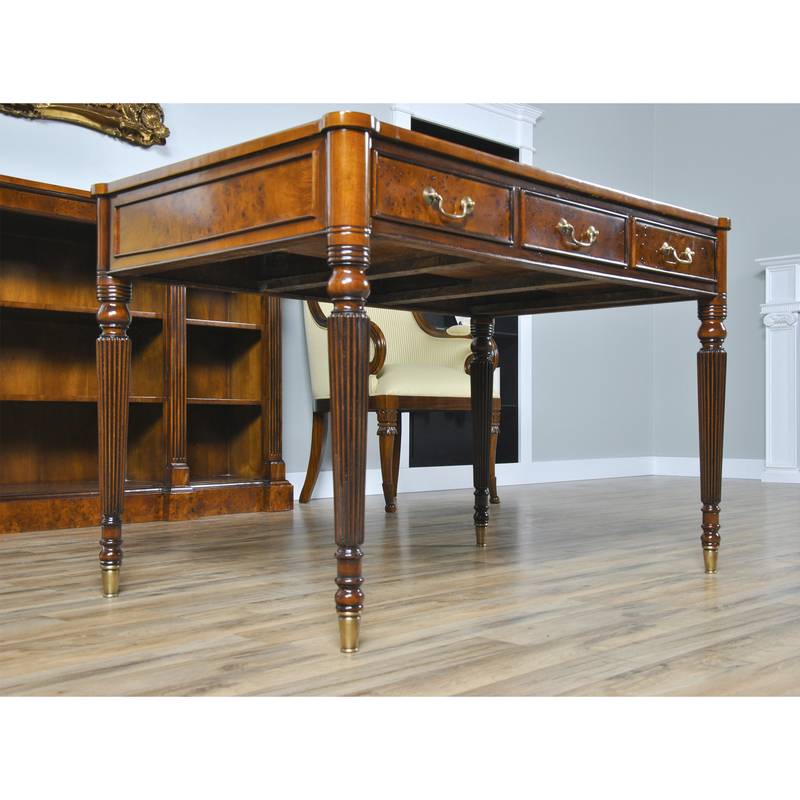 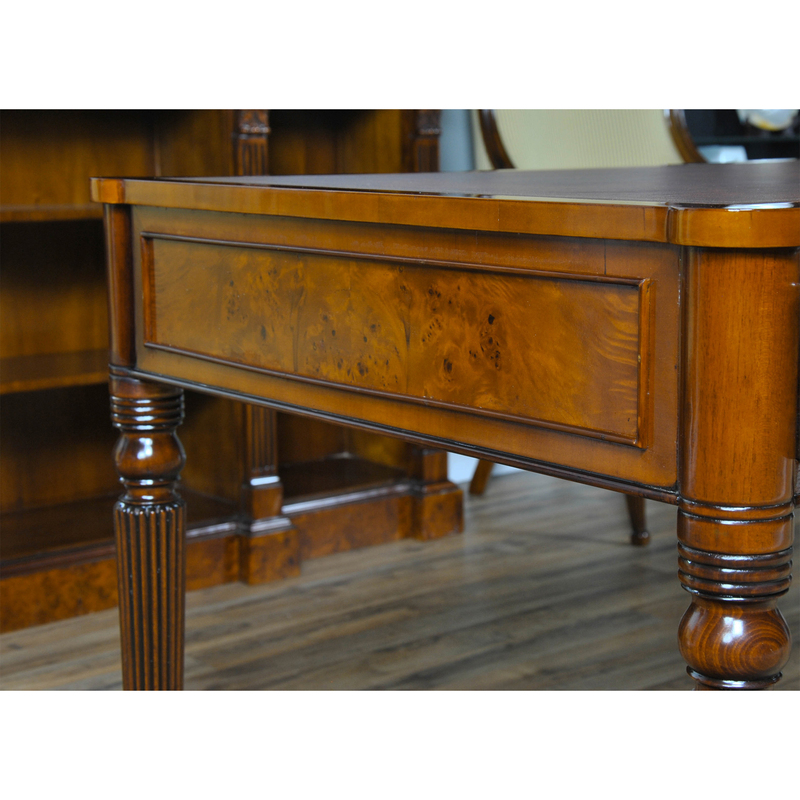 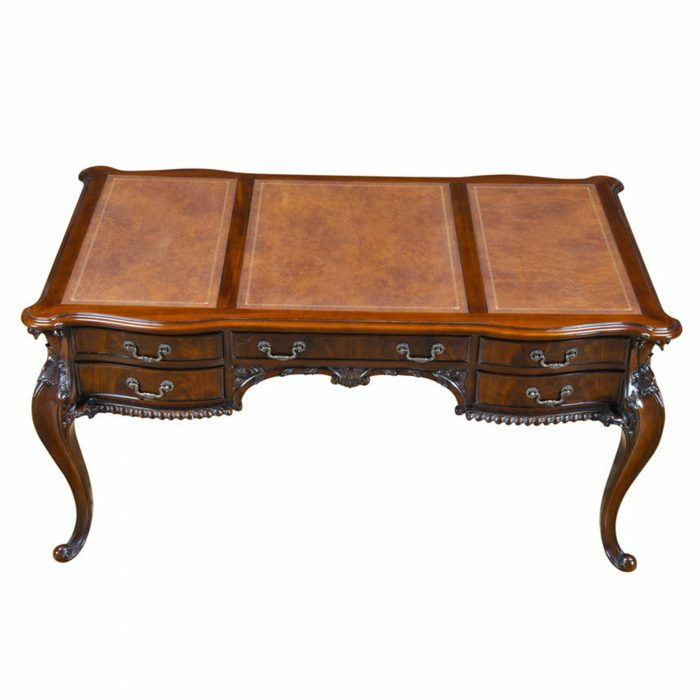 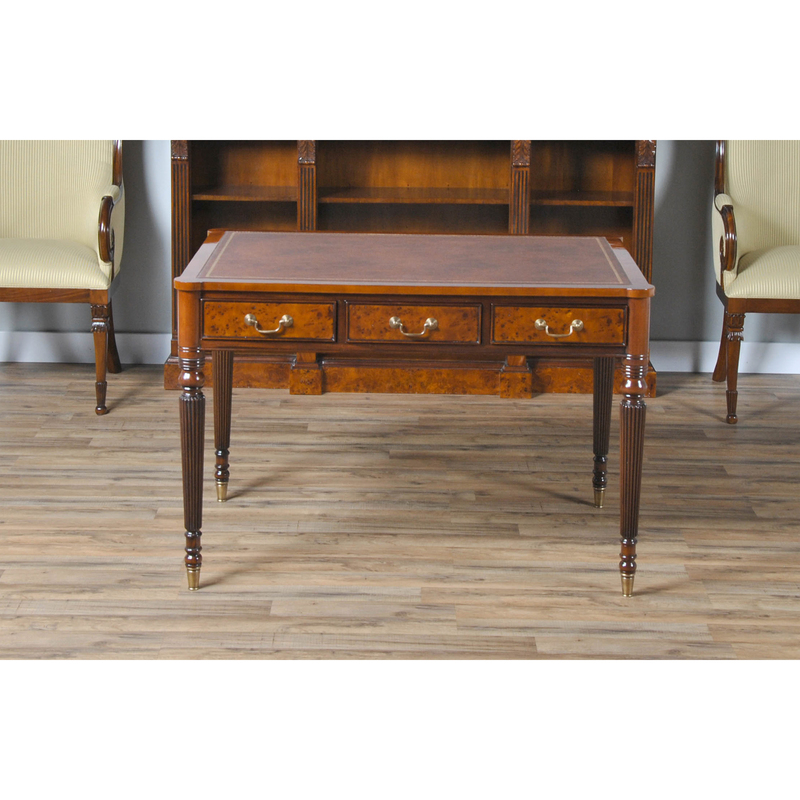 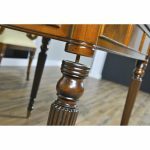 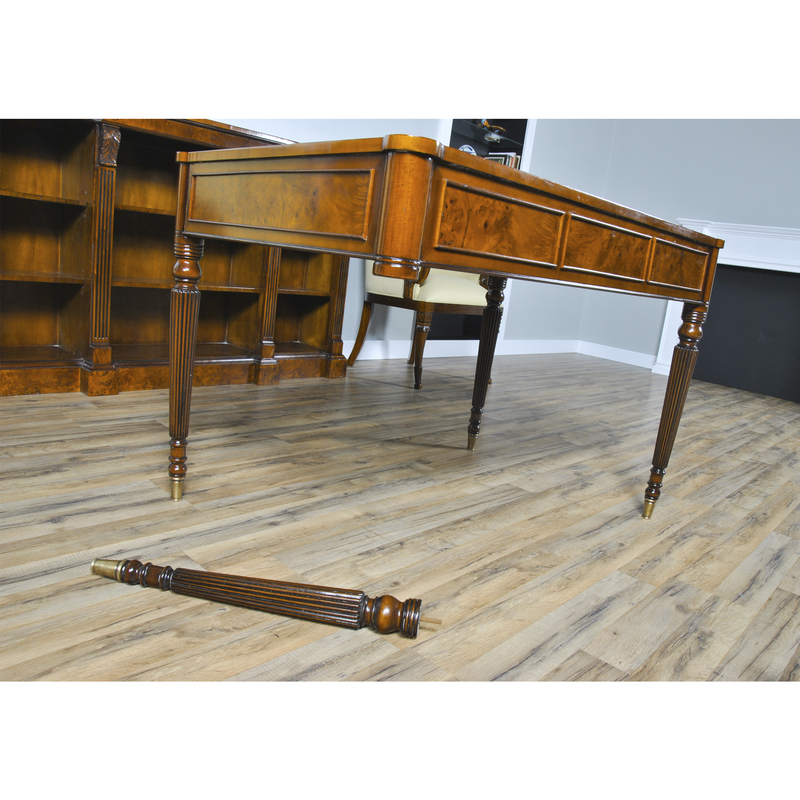 An elegant Burled Writing Table from Niagara Furniture which is perfect either at home or in the work office. 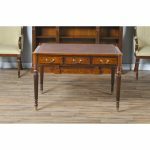 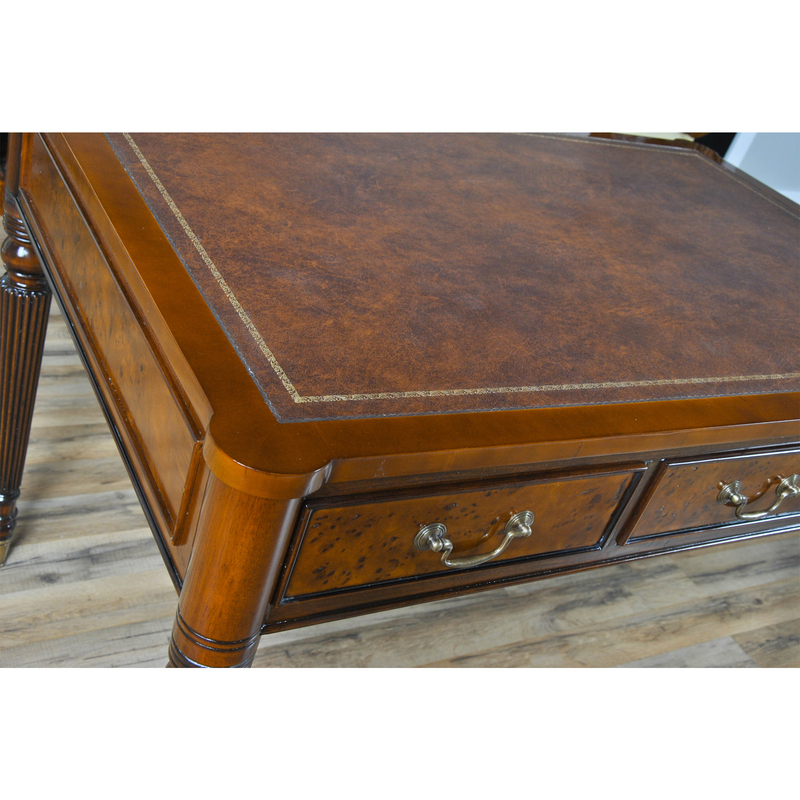 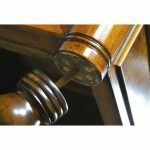 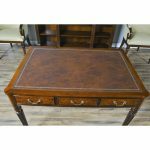 Features include a large brown leather tooled top, made from full grain genuine leather, a flat edge profile with cookie cutter corners, three dovetailed drawers and finely tapered, reeded legs which end in solid brass caps. 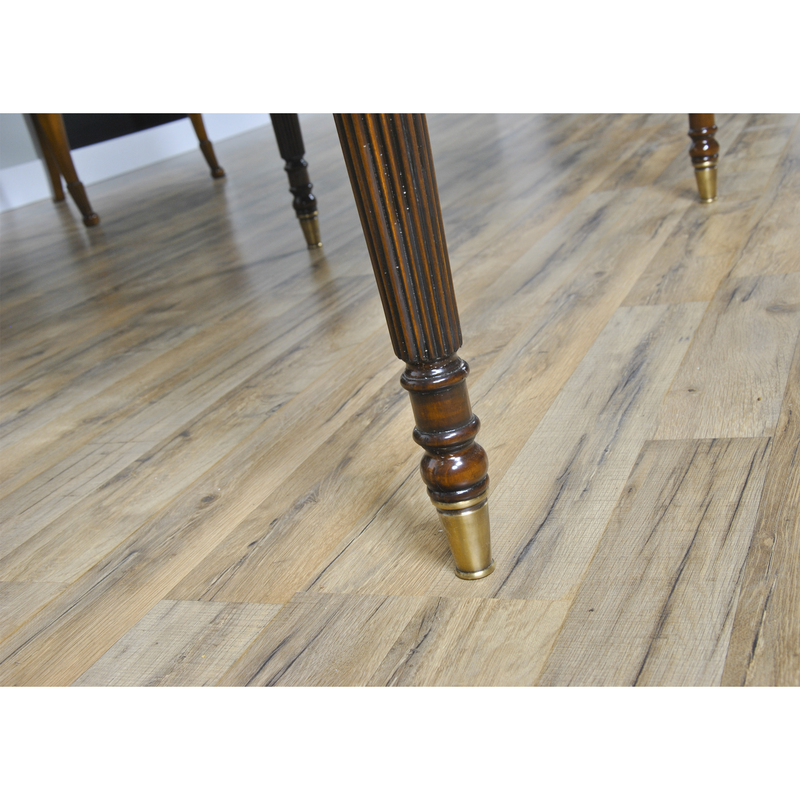 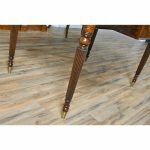 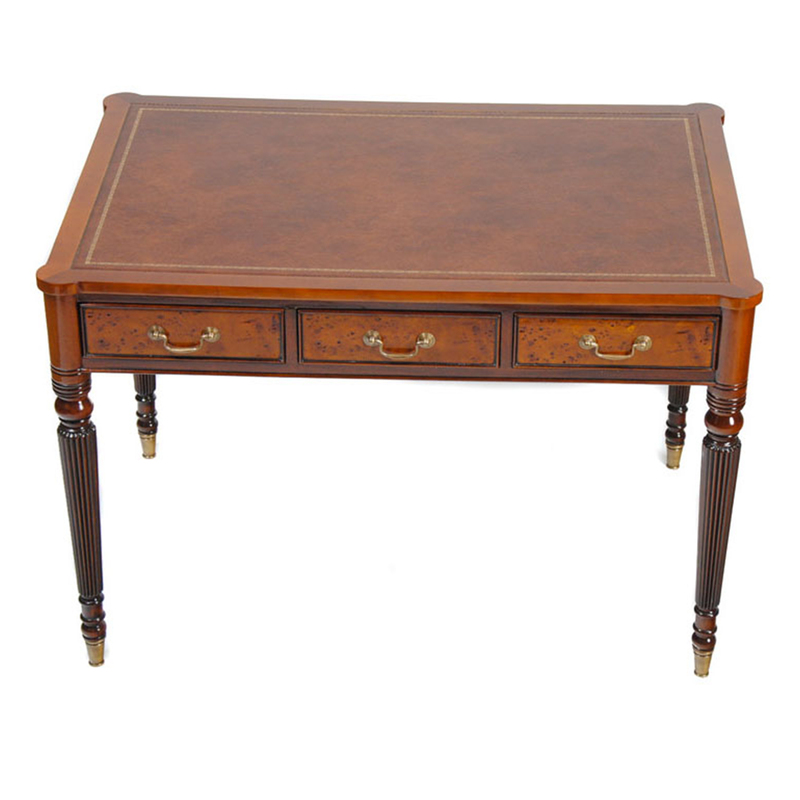 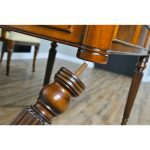 The legs of our Burled Writing Table are removable for ease of shipping and handling. 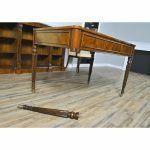 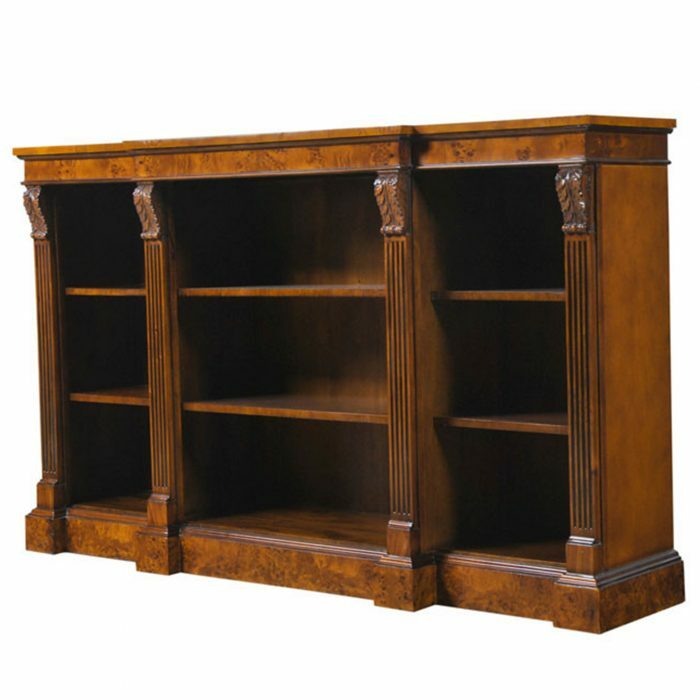 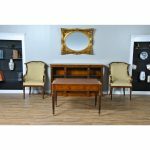 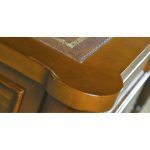 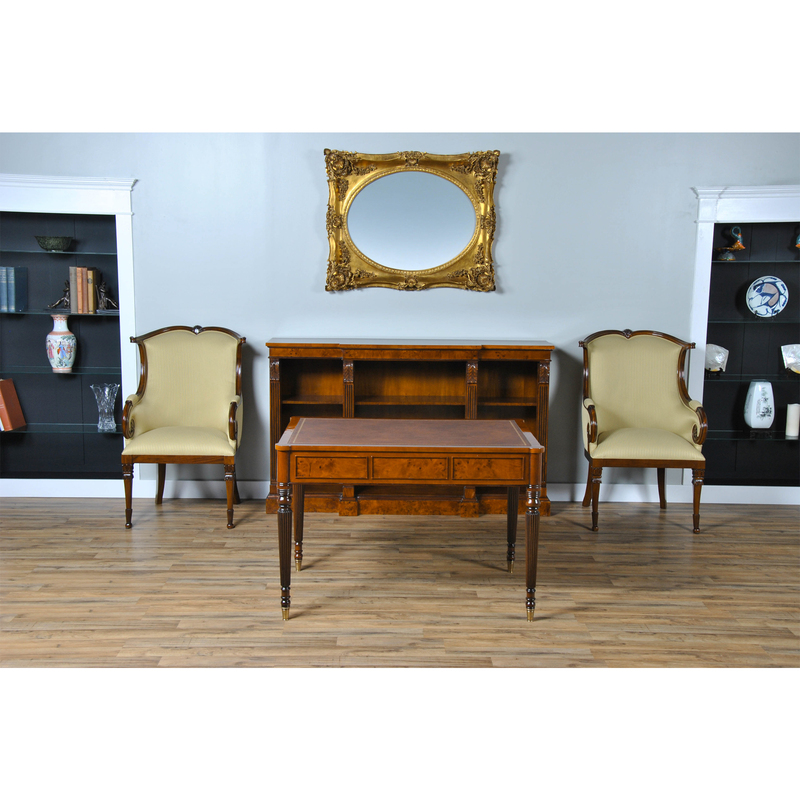 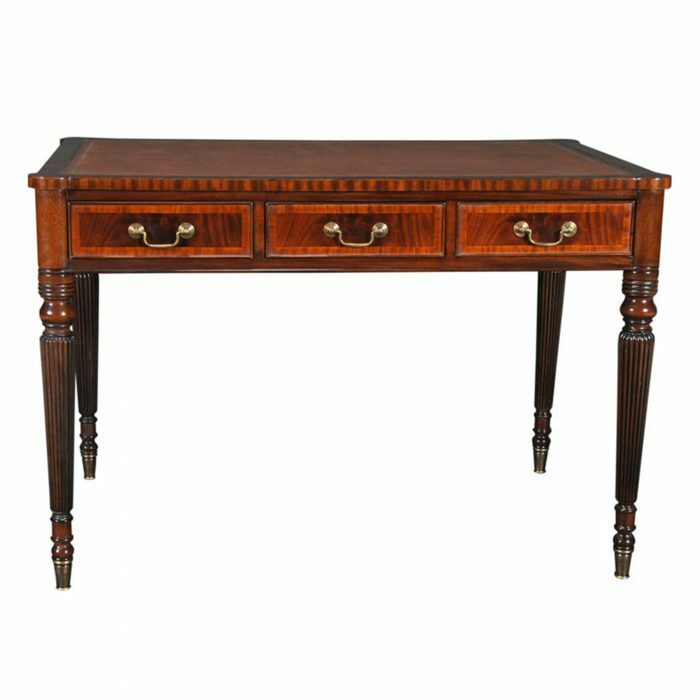 Overall a very beautiful and functional desk with a large work surface, the visitor side is finished with burled wood veneers surrounded by moldings in the shape of faux drawers.